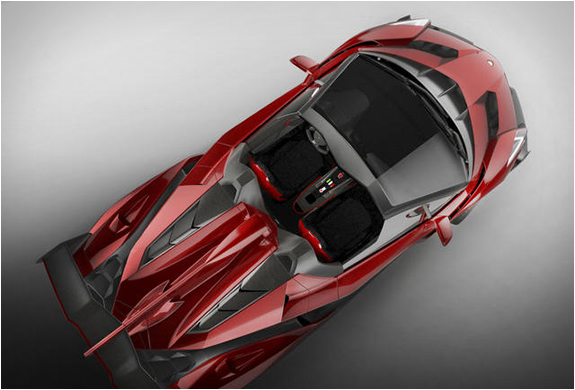 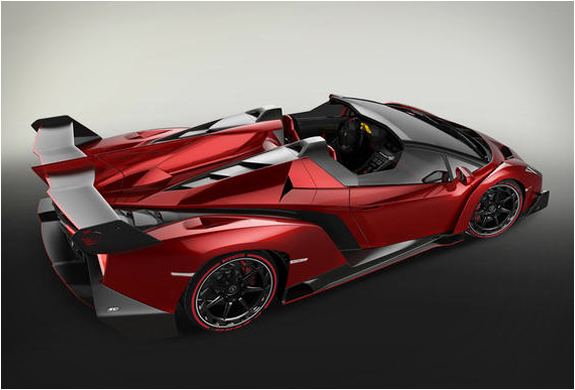 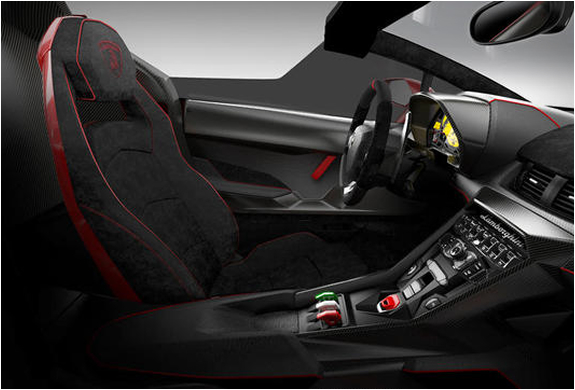 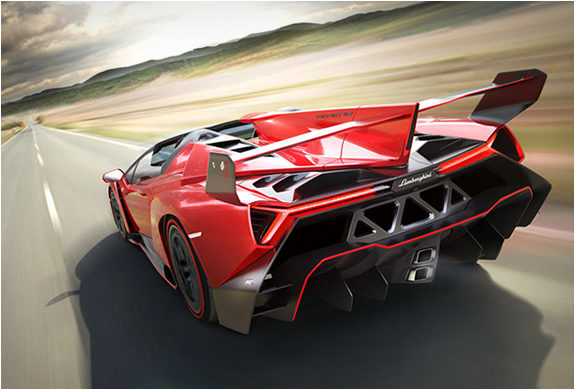 Italian automaker Lamborghini have unveiled the mind blowing Lamborghini Veneno Roadster. 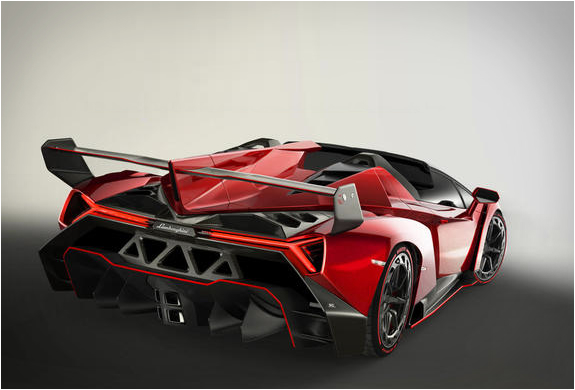 The spectacular super-car has no roof at all and will be equipped with an impressive 750 hp 6.5-liter V12 engine capable of moving this beast to 60 mph in just 2.9 seconds, and blast it to a top speed of 221 mph! 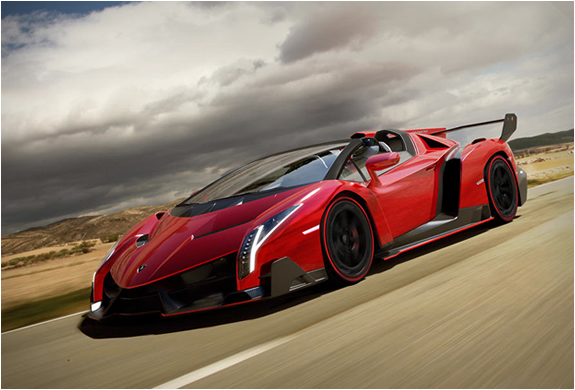 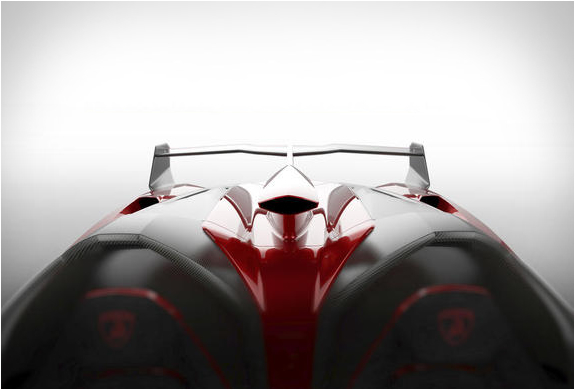 Only nine Veneno Roadster models will be available for purchase, so get out your check book fast.